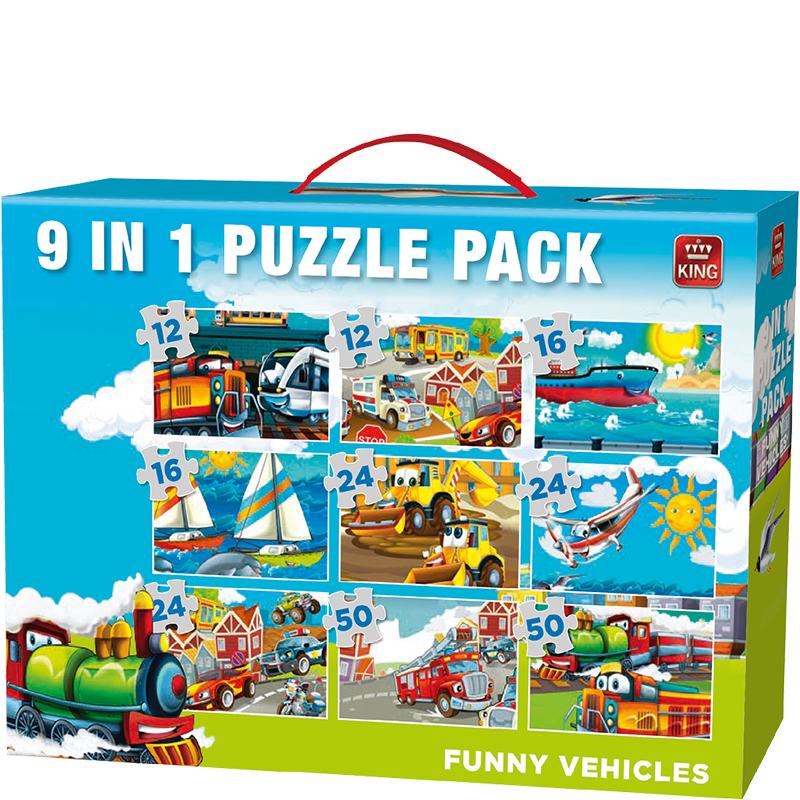 A very well filled box with 9 puzzles with different sizes puzzles. The puzzles have several vehicles, from boats to trains. But also cars and planes. Funny puzzles for lots of puzzling fun.